The last time we heard Jack White on a full-length, he was a married man and we were all hoping that the next time we heard he was in the studio he would be there with Meg. Needless to say, one divorce and millions of tantrums from irate fans later, neither of these are the case. Both, however, show up quite clearly in the music. Blunderbuss sees White strip away most of his the guitar virtuosity that made so many of us notice him almost a decade (or more!) ago in favor of letting his wide variety of influences and his love for numerous genres show, but he also stays more focused than he did with the Raconteurs and never gets as harsh as he did with The Dead Weather. This approach isn’t much different from what White did after grabbing the attention of the entire rock and roll industry with Elephant. The follow-up, Get Behind Me Satan was the most bare, diverse, and versatile record that the glorious white and red had put out at that point. And that’s exactly what Blunderbuss tries to do, but it comes up just a little less daring, a little less extreme, a little less confident, and a little less diverse. Still, there’s a lot to admire on this record, from White’s evident improvement on the Rhodes Piano to his willingness to finally let us glimpse into that eccentric, genius, and insane mind of his, even if he does leave us wanting more. But that is, to some degree, exactly what he tries to do here. There has never been so much piano and so little distortion on a Jack White project, and yet it still feels effortless. He makes us hum with a ukulele instead on Hip (Eponymous) Poor Boy, he takes us back to his roots with a cover of I’m Shakin’, honesty creeps into his lyrics, and there’s enough folk and country here to make you think that he’s been withholding all the Hotel Yorba’s for just the right occasion and that he has finally found it. Unfortunately, this makes for an unexciting album, where most songs can be described as mid-tempo, piano-driven tales of failing or failed relationships, told from the point of view of a bitter man. There is not a song here that hits as hard as the best songs on any of the White Stripes or Raconteurs albums, there is nothing as emotive as the I’m Lonely (But I Ain’t That Lonely Yet) on the Get Behind Me Satan that Blunderbuss so desperately wants to be. On and On and On is quite lovely and could easily be a later Stripes ballad, Sixteen Saltines is blistering for Icky Thump, opener Missing Pieces and closer Take Me With You When You Go have enough diversity and left-field intrigue to fit nicely into the beautifully erratic Consolers of the Lonely, but nothing quite sticks like the tracks that did make it onto those albums. Everything just feels a bit too reserved, like an artist not quite sure if he wants to push new ground or just write a bunch of great tunes that sound like people expect him to sound. He never quite tries to cover himself and get a new name like he says he wants to. There is not quite enough confidence, not quite enough honesty to elevate Blunderbuss to the record Jack White wants it to be. Of course, Neil Young didn’t give us Everybody Knows This Is Nowhere and Van Morrison didn’t give us Astral Weeks until the second time around, so perhaps it should not come as too much of a surprise if Blunderbuss comes off as preparatory work for a late-age opus, like a 33 year old Springsteen making Nebraska. 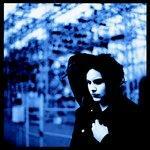 That’s not to say that Blunderbuss isn’t a good album; it’s quite good. It just feels like it should be—and wants to be—better.